After two weeks of waiting for a phone call from Hollywood concerning his Don Juan screen test, Ricky is despondent. His constant companion is the telephone, which he even takes to bed at night. He further forbids Lucy to phone any of her girl friends for fear Hollywood might be trying to get through. One day while the Ricardos are out, Ethel takes over the phone vigil (in case Ben Benjamin calls) and comments to Fred: "What a shame there can't be a message saying Hollywood called." With only good intentions in mind, Fred puts pen to paper, scrawling, "Hollywood called. You got the job!" Intending to destroy the fake message, Ethel is distracted by another phone call. When Lucy returns, Ethel hands over the stack of messages, including the "Hollywood" memo. 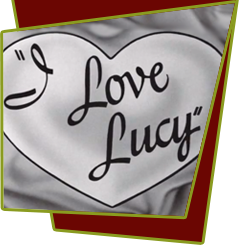 Lucy notices the memo after Ethel's departure, and immediately phones Ricky at the club, leaving a message with Marco, the pianist. Ethel enters and tries to locate the fraudulent note before Lucy sees it, but alas it's too late. Now Lucy and the Mertzes try to figure out their next move. Lucy: "We'll just tell him the truth. Of course, I'll be holding Little Ricky at the time. He wouldn't dare hit a woman with child." Just then, Ricky floats in: "Hello, baby. We're on our way to Hollywood." It turns out that Benjamin has phoned Ricky at the club with the good news. Special Notes: The scene between Ethel and Fred with the notepad by the phone was used for a 2006 medicare drug benefit ad. Voiceover actors imitated Vivian Vance and William Frawley, while the actors' mouths were digitally altered to match the new dialog concerning a change in medicare rules starting January, 2006. The commercial consisted of Ethel convincing Fred that the new plan was cost-efficient and they should join it. The tagline of the ad was "If Fred could've done it, he would have."